Approval ratings for the Malaysian government have dropped, six months after the opposition took power in a historic win. Meanwhile, tensions are high ahead of Indonesia's upcoming polls, say panellists at The Straits Times Global Outlook Forum. 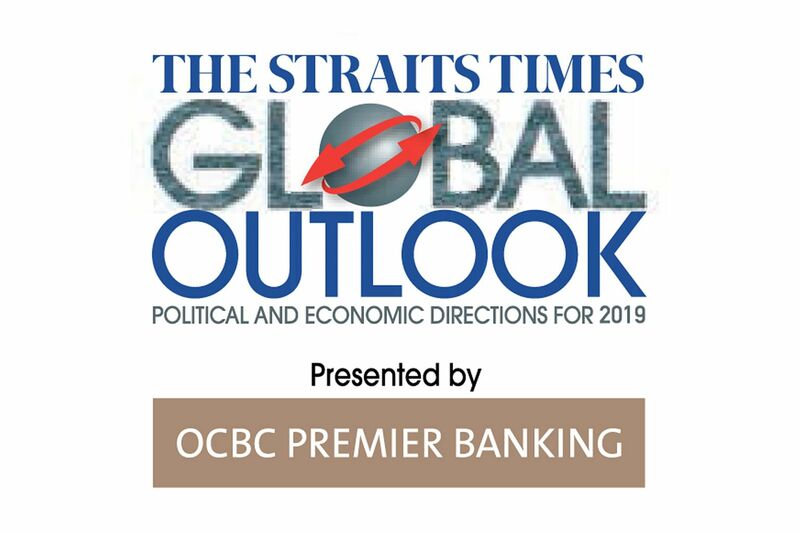 Identity politics that appeals to race and religion is expected to be a feature of the political landscape in Malaysia and Indonesia, and it is important that the issues associated with this are deftly managed, panellists at The Straits Times Global Outlook forum cautioned yesterday. Five speakers also addressed other topics linked to the two countries that are Singapore's closest neighbours - from campaigning ahead of Indonesia's April polls to the question of Malaysia's Datuk Seri Anwar Ibrahim succeeding Tun Dr Mahathir Mohamad as prime minister, and the future of the once-dominant party Umno. With more people turning to conservative Islam in Malaysia and Indonesia, politicians have found religion a rich vein to tap for support, some of the panellists noted. They cited the close cooperation between Umno and Parti Islam SeMalaysia on Malay and Muslim issues, and the example of the 2017 Jakarta gubernatorial polls where opponents of incumbent governor Basuki Tjahaja Purnama, a Chinese Christian, appealed to religious loyalties to defeat him. ISEAS - Yusof Ishak Institute fellow Norshahril Saat noted that in Malaysia, the six-month-old Pakatan Harapan (PH) government has taken steps to reverse the deeply conservative interpretation of Islam that has taken root there. This even included a meeting in August between PH's de facto Islamic Affairs Minister Mujahid Yusof Rawa and activist Nisha Ayub, who champions the rights of the lesbian, gay, bisexual and transgender community. "PH will need time to undo decades-old policies" of the previous Barisan Nasional government, Dr Norshahril said. In Indonesia, President Joko Widodo, who is seeking a second term, chose conservative cleric Ma'ruf Amin as his running mate, a move some analysts said was to protect his flanks from attacks by Islamists and Muslim conservatives. But with five months to go before the polls, it is too early to say whether tensions of the sort sparked by identity politics during the 2017 gubernatorial polls, and the use of fake news, will make a return, said Straits Times Indonesia bureau chief Francis Chan. On the question of leadership in Malaysia, panellists said much attention is on the Mahathir-Anwar succession plan. The four parties making up the PH alliance agreed previously that Dr Mahathir would hand over the prime ministership to Mr Anwar in about two years. But there is ongoing debate as to whether Mr Anwar will again be denied the premiership, as was the case in 1998, when he was deputy prime minister to Dr Mahathir. Former Malaysian Cabinet minister Khairy Jamaluddin, who was on the panel, said one reason for his hope that Mr Anwar will lead the country is that among PH's leaders, he "is the only one well-versed enough to handle identity politics". He also felt that Dr Mahathir should be more specific about when Mr Anwar will take over. As for the future of Umno, Mr Khairy said that six months on since its historic loss at the polls, the party is weaker. But he was clear that it will still be around. It won 54 seats in the federal Parliament at the general election, but currently has 48 MPs because of defections - and speculation is that there could be more defections to come. Still, Mr Khairy was certain about the party's future, saying: "Malay voters tell me we will survive... Umno will still remain, but in what form I am not quite sure." He also believed the Malay party could move back to the centre, as it is not possible for a party to win an election with just Malay votes. As to the kind of government that Mr Anwar would lead should he come to power, ST Malaysia bureau chief Shannon Teoh said that was unclear "because one of the things with Anwar is, he is quite a political chameleon". Mr Teoh added that while Mr Anwar had said he would promote a "needs-based" economic agenda - and not one that puts Malays at the forefront - there seems to be different messaging now. Mr Anwar is seen as actively placating the Malay ground and has built bridges with the Malay royal houses. Meanwhile, Dr Mahathir is expected to remain active next year. Professor Joseph Liow, dean of the S. Rajaratnam School of International Studies and the College of Humanities, Arts and Social Sciences at Nanyang Technological University, said one interesting aspect of the succession issue in Malaysia is that Dr Mahathir - having said he would hand over in two years - would be considered in many a political system as a "lame duck". But on the contrary, he is more often seen as a "man on a mission".